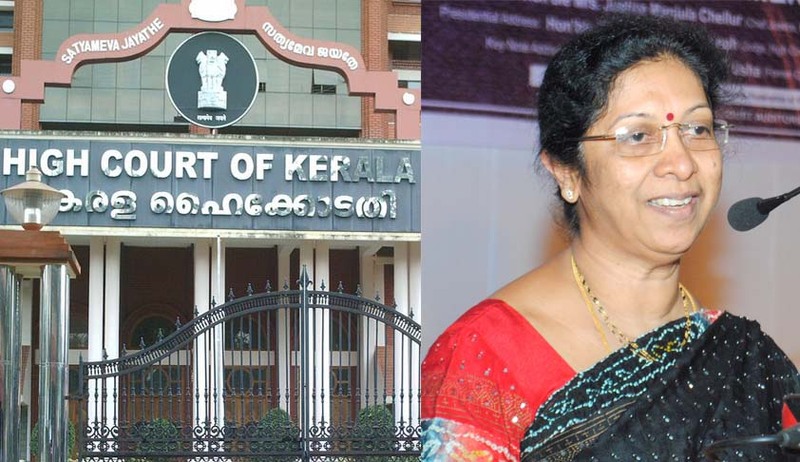 A judgment delivered by Chief Justice of Kerala High Court Manjula Chellur has become the centre of debate by jurists because it was delivered 4 days after a warrant was issued by the President of India transferring Chief Justice Manjula Chellur to the Calcutta high court. The warrant was signed on July 21 while the verdict was delivered on July 25. Leader of the Opposition V.S. Achuthanandan reportedly announced on Saturday that he would approach the court with a review petition. The verdict declared the 2007 eviction drive in Munnar as illegal. He reasoned his stand by quoting a 1966 judgment by the Kerala high court in the Adv. N K Sasidharan v. Chief Justice. He added, "Another impropriety in the order is the undue delay in delivering the verdict after completion of hearing. In the Anil Roy v. State of Bihar case in 2011, the Supreme Court directed to deliver judgment within two months of completion of hearing in a case. If the judgment is not delivered within six months of hearing, the parties can ask for a fresh hearing”. In Adv. Kaleeswaram Raj’s opinion, “It would have been better if there was a timely pronouncement of the judgment in Re Munnar. The delay occurred is not justifiable. However, I don’t think that by issuance of an order of transfer, a judge ceases to be so in the court where she was officiating. According to Article 217(1) (c) of the Constitution of India, "the office of a Judge shall be vacated by his being appointed by the President to be a Judge of the Supreme Court or by his being transferred by the President to any other High Court within the territory of India." The conflict arises out of the interpretation of the term ‘being transferred’, which by some is being interpreted as issuance of transfer order. A few members of the legal fraternity however feel that Judges can deliver judgments till the time they are actually relieved. This judgment came as a major setback to Opposition Leader V.S. Achuthanandan. The drive declared illegal was conducted by the Special Task Force. Achuthanandan had handpicked three- member STF and reclaimed more than 11,000 acres of encroached land and close to a100 buildings, including high-end resorts, which were demolished in a month's time. However, the Court said that Cloud Nine should not take up any construction within the cardamom area until a final decision was taken in appropriate proceedings. The Division Bench comprised of the Chief Justice and Justice A.M. Shaffique ordered the State to restore possession of land to Cloud Nine at Chinnakkanal, Abad Motels and Resorts and Munnar Woods in Devikulam village and to pay `10 lakh as provisional compensation for destroying the resort of Cloud Nine (Autumn Wood Resorts). "It cannot be taken away by abuse of power in a democratic society, where rule of law prevails. Such abuse of power is liable to be curbed. Shutting the court's eyes to such patent illegalities would result in chaos which should not be permitted and hence the State was liable to compensate the petitioner for the wrong done”, the court said. The bench awarded Rs 15,000 to the State Government in the case filed by Munnar Woods. The court also quashed the order to take over the land to the extent of 2.84 acres in possession of Munnar woods in Pallivasal and 12.83 acres in Anaviratty. The court also asked the State to pay Rs 15,000 as court expenses. Revenue minister Adoor Prakash said the Government would summon a high level meeting on Tuesday to discuss the follow-up action on the HC order terming the Munnar evictions illegal. The meeting headed by the Chief Minister would be held in Ernakulam. Advocate General, Law secretary and Revenue secretary would participate in the meet.